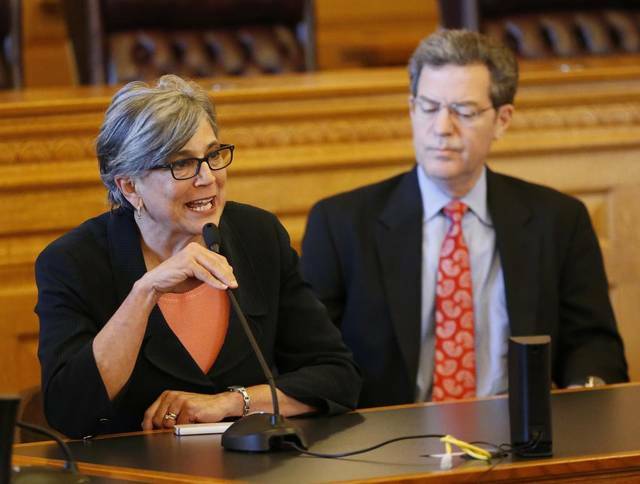 Home » Posts Tagged "Brownback 2.0"
Senate Bill 22, the tax bill created and rammed through committee by Senate President Susan Wagle (R-Wichita), will be debated on the Senate floor this week. If passed, this bill will take Kansas back to the Brownback tax disaster of 2012 – 2017 when revenues to the state treasury plummeted, schools and all other state services were slashed, the state’s credit rating was repeatedly downgraded, and we were on brink of fiscal collapse. Luckily voters sent a new Legislature to Topeka in 2017 and they worked quickly to reverse the so-called “tax experiment.” Since then revenues have been rebounding and Kansas is now at the point where we can begin to rebuild our state. Wagle’s bill is estimated to reduce revenue by $191.6 million immediately with almost all of the benefits going to corporations. Another part of the bill would allow wealthier individuals to continue itemizing deductions and would provide those individuals with a small tax reduction. The Institute on Taxation and Economic Policy (ITEP) estimates that only about 11% of individual taxpayers earning less than $111,000 would benefit from being able to itemize on their Kansas tax return. Even the section of Senate Bill 22 intended to benefit individual taxpayers is highly skewed to benefit the wealthiest Kansans! In a recently written op-ed authored by Wagle, she asserts that SB 22 “will return the unexpected windfall from federal tax reform back to Kansas families.” Nothing could be further from the truth. The Kansas Department of Revenue estimates that of the $191.6 million in “returned” taxes, $137.2 million would go to corporations while only $54.4 million would to to individual taxpayers with the vast majority of that money going to the wealthiest individuals. 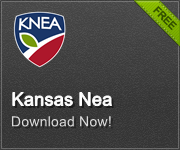 SB 22 is not about helping Kansas families – it is about benefiting large corporations. It’s just the newest version of the Brownback tax experiment. On Monday, the Senate advanced SB 9 to final action on a voice vote. The bill was adopted on final action on Tuesday and now goes to the House for consideration. Senate Bill 9 would repay $115 million to KPERS this year – money that was withheld by the Legislature in an attempt to balance the budget in a prior session. While we are happy to see legislators who have willingly voted to decrease and withhold KPERS contributions over the years suddenly come to the conclusion that those actions were wrong and need to be rectified, it is hard to see this action as anything more than an attempt to remove as much money as possible from the state treasury in order to prevent Governor Laura Kelly from achieving her budget prioriteis. Just to put this in a little historical context, in FY 2015, 2016, and 2017, the Legislature reduced the statutory rate for KPERS payments, putting less into the system. In FY 2016 they reduced payments to KPERS by $97 million, promising to pay it back with interest and then reneging on that promise. In FY 2017 they reduced payments to KPERS by $64.1 million and scheduled the repayment over 20 years. In FY 2019 they reduced KPERS school contributions by $194 million and scheduled repayment over 20 years. So again, while we are glad to see that so many conservatives who repeatedly voted to under-fund KPERS have suddenly had an epiphany, we remain skeptical of their motives.